Blend all ingredients together in a food processor fitted with the S blade. Press into an 8 inch pan, cut into brownie shapes, and serve. You can easily cut the recipe in half if you like. Blend all ingredients together in a food processor or blender. 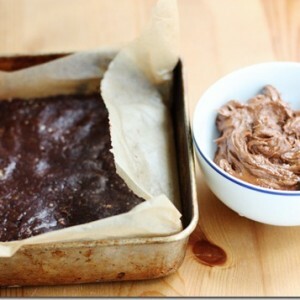 Serve on top of raw brownies or any other raw treat!